We have a list of cars with their make and the country of origin. We are filtering out the cars that are made in Germany. To do this in a traditional way, we use a for loop to iterate through the list and try to find the cars that match our criteria by using the condition if (cars.country === 'Germany'). Whenever this condition is true, that element is pushed into the array german. Once the loop runs through the entire list, the array german will be a list of all German cars. This works fine, but now, let’s use filter() to do the same job. See how simple it is? Using the filter function, we were able to achieve the same result without using any for loop and in less lines of code. Here, an anonymous callback function is passed into filter and it expects the callback function to return true or false based on the condition. To break it down, if we compare the two examples, in the first one, we have the responsibility of iterating through the loop, matching the items that fit the the filtering criteria and also pushing the matching elements to the array. But in the second example, filter function takes the job of iterating and pushing the items into the array. So now the sole purpose of the callback is the specify the criteria for a match. In this way we have completely separated the filtering criteria from the filter function. So, we can have the callback functions defined separately and have the filter functions call them as and when required. This really helps in writing clean and maintainable code. It is useful when you are want to find a match in an array. The for loop here iterates through each item within cars and pushes the name property back into the array. Same old stuff. Now let’s see how this might change when we apply map over the list of cars. var names = cars.map(x => x.name); // tada!!! 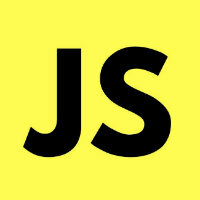 I hope by now the advantages of functional programming and ES6 is becoming more clearer. So far we have seen iterating over a list of items and returning another list of items that satisfy a particular criteria (filter) or get the list of items transformed in a particular way (map). Now there are some instances where we need to calculate a single value from an array, like finding the sum of all the values from a collection of numbers. Simple stuff, we just iterate over all the items and add the price to the variable totalPrice which has an initial value of 0. Simple programming 101. Now let’s implement the same using reduce function. The reduce function takes in two arguments, the sum and the current item car. What is does as it iterates through the list, it adds the car.price of that particular item to the sum. Thereby sum becoming a total of all prices. This is a very simple example of how reduce works. It also takes an object as the start value for sum, which in our case is denoted by the 0 passed in right after the callback function.